Monday. Another dreary overcast day. These days make me kinda sad...and while I was reflecting on upcoming Thanksgiving plans, I realized this would be my first Thanksgiving without all my girls here with me. 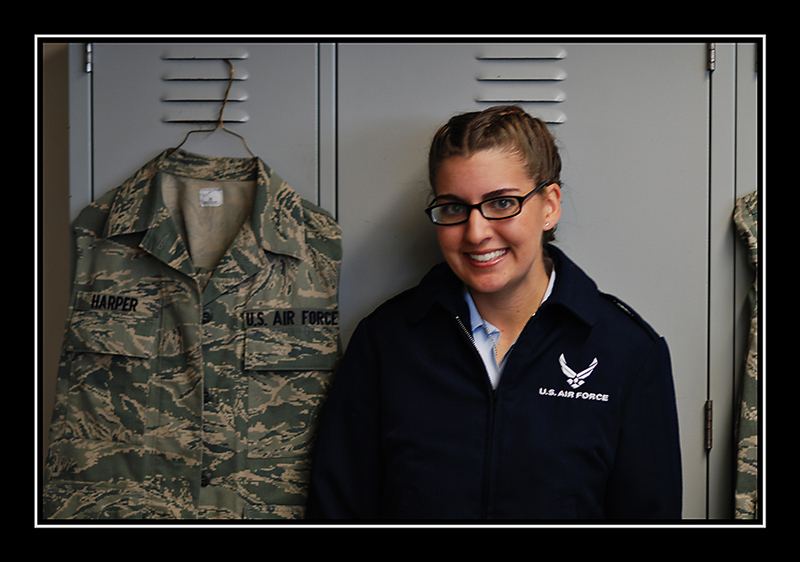 Erinn joined the Air Force last December, and while I'm so very proud of her, I'm still somewhat selfish and wish she was closer! She's stationed in South Dakota...a Texas girl up there freezing her buns off ...although she did sound quite excited when she called the other day to say it was snowing. I asked was she dressed warmly and what does she tell me??? She's wearing flip-flops!!!! I miss that girl!! Here she is at BMT (Basic Military Training a/k/a Boot Camp) Graduation in San Antonio in January - the Air Force only has one BMT facility and lucky for us it is in San Antonio, so the whole family was able to go see her graduate. PRIDE - I tell you, I was so overcome with emotion several times during the events, if you have ever experienced anything with the Military then you will know what I mean, but I was simply bursting with pride that my daughter, my little Erinn, is a part of something as awesome as our United States Air Force!!! 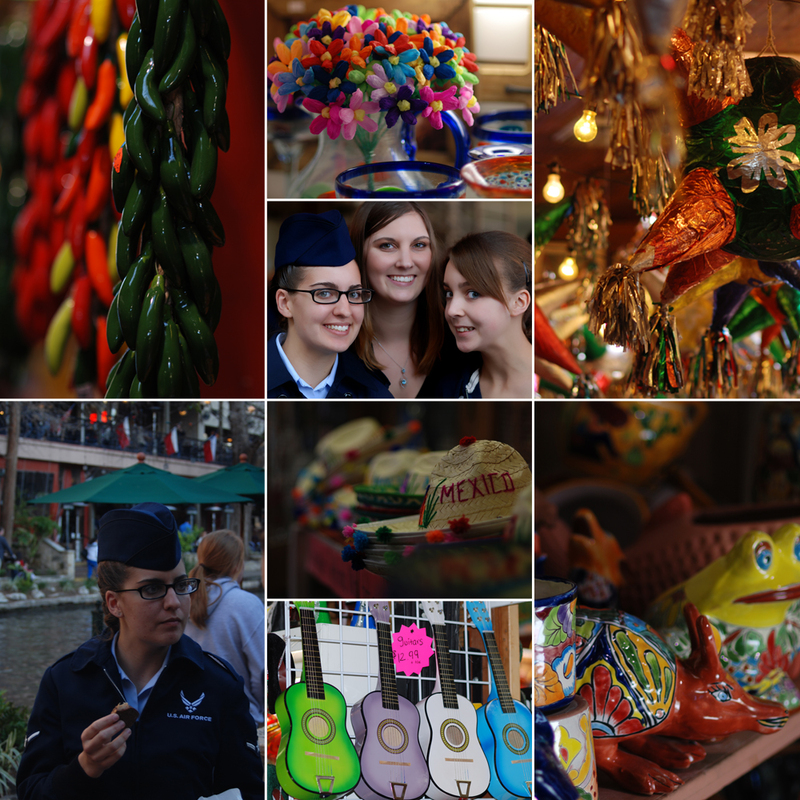 We got to enjoy some time in San Antonio during the weekend events so I thought I'd share these for my Mosaic Monday post. Check out the Little Red House blog and browse thru other fun and beautiful Mosaics!